This sign is a very elegent, classy approach to company identification. 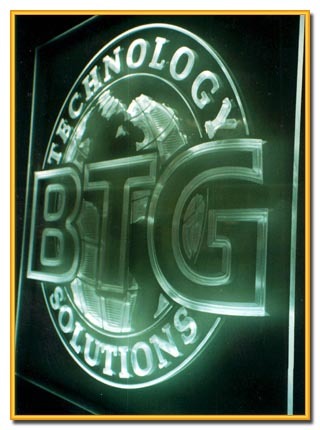 Our talented Art Department took this logo and converted to a beautiful three dimensional design and then we carved it into a clear 1/2" acrylic panel. When fabrication was complete the sign was installed with lighting from the top and bottom, creating the effect you see in the photo above.